Here’s to the bright future of our Graduates on Graduation Day’. These words on the Graduation Day invitation card came to life in Bianchi Hall of the DBIS building in Matunga when the members of the Management, the staff and students of Std. 3 and 4 assembled to wish adieu to our students of std.4 on March 20th, 2019. God’s blessings were invoked upon the students. The boys of std.3 sang ‘Que Sera Sera’ in song preparing their counterparts of std.4 to face the challenges of the future. Speeches delivered by the Rector Fr. 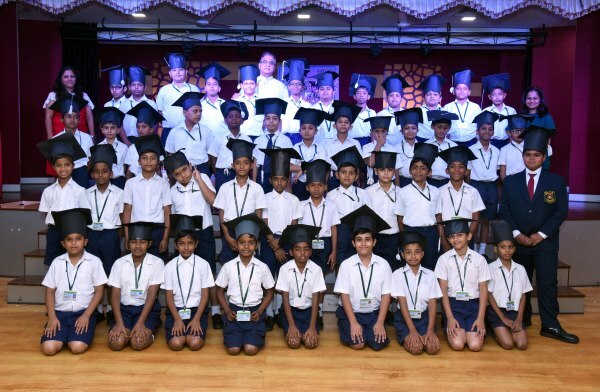 Crispino D’Souza and the Head teacher Mrs. Griselda Fernandes urged the students to grow physically, mentally and spiritually and wished them all the best for their future. Master Liam Sequeira the Vice-Captain of the Primary Section narrated John Bosco’s tips to school children hoping that they get ingrained firmly in our students. Master Adrian Borges the Primary section Captain gave a touching farewell speech thanking all those who have helped in shaping and moulding him and his counterparts in their early years. 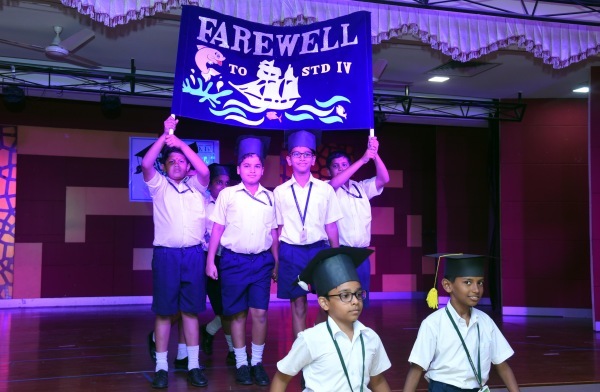 The function concluded with a Farewell March through the Farewell arch where the boys of std.4 donned their self-made Graduation caps, their most coveted possession for the day and were welcomed by the Secondary Supervisor of Stds. 5 and 6 Ms. Pauline Vallado. The students of std.4 said that they will definitely miss their teachers but being on the same campus they will undoubtedly meet them.